You can bring Oktoberfest to life in your own backyard by incorporating the most important elements linked to this longstanding celebration. Although the traditional festival lasts up to 18 days, you can cram all that fun into a just a few days by taking a smart approach to the planning process. While setting up your Oktoberfest event, make sure that you have all the following elements for a truly authentic experience. With over 66,000 barrels of beer consumed during the traditional Oktoberfest event, it is obvious this choice beverage must take centerstage at the celebration. You can mimic this adoration of spirits by setting up a full bar at your event. For the traditional route, plan to serve the Bavarian lager, Marzen, and other high-quality German beers. Switch it up by making homemade lemonade, chilled seltzer water and fresh brewed ice tea available to your party guests. Food comes in at a close second to beer as an integral part of any Oktoberfest event. You can eat well and enjoy your party too by leaving the cooking, serving and cleanup to a skilled catering crew. To add a bit of authenticity to your event, make sure your menu includes classic Oktoberfest foods, including kielbasa, rotisserie chicken and grilled fish kabobs. 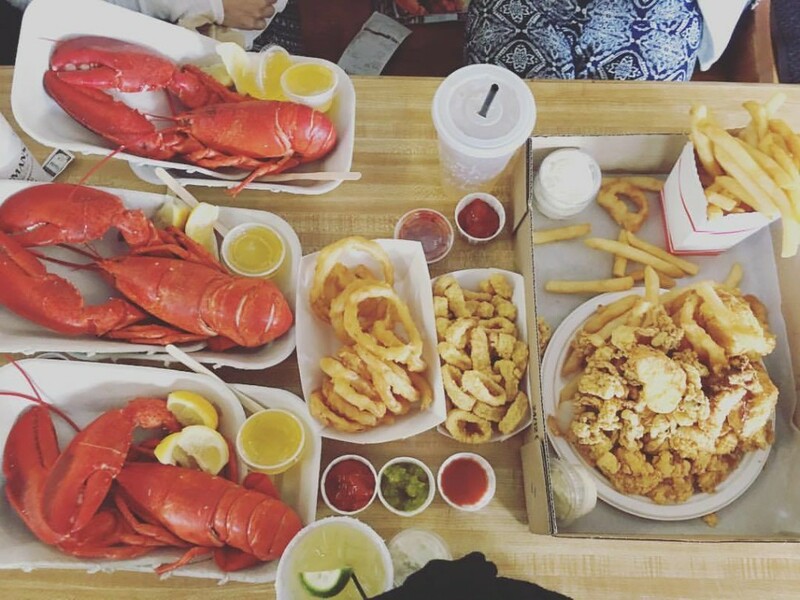 For a departure from the authentic, elect to serve lobster rolls, fried clams and other delicious New England seafood dishes instead. Music brings everyone together — and that is especially true during Oktoberfest parties. Book live entertainment to take this idea to the next level and maximize the fun for your guests. Although a traditional German band will create the perfect party atmosphere, these groups may be booked well into the future, especially during the fall months. In any case, hire musicians who will play songs that inspire everyone to dance and sing along. If you are looking for something a little different, hire a magician or dance ensemble to entertain your guests. As Oktoberfest began as a traveling funfair, games and other fun activities are an important part of the celebrations. Invite your guests to take turns having water-filled beer stein racing contests to show off their competitive sides. Your guests can also challenge themselves and each other to see who can hold the most steins full of water at the same time, like the Oktoberfest waiters and waitresses train to do. You can think outside the box by introducing any number of interesting party games you think your guests would like. As you create an Oktoberfest event to remember, make sure your guests can document their fun in a creative photobooth. For the background of the photobooth, utilize the image of a snow-covered mountain range or small German town to set the stage for your guests’ new favorite photographs. Add props, like hats, glasses and jewelry, to give your guests the flair they need to strut their stuff in style. Remember to take a couple panoramic photos over your party as the night goes on as a sweet memento of your awesome Oktoberfest event. When you need support in reaching your Oktoberfest event planning goals, reach out to the full-service catering team at Woodman’s. We are here to help you make the most of your next event with our delicious meals and supportive catering services. See what all the hype is about by trying the dish that started it all, “Chubby’s” Original Fried Clams. Give us a call today at 800-649-1773 to learn more.